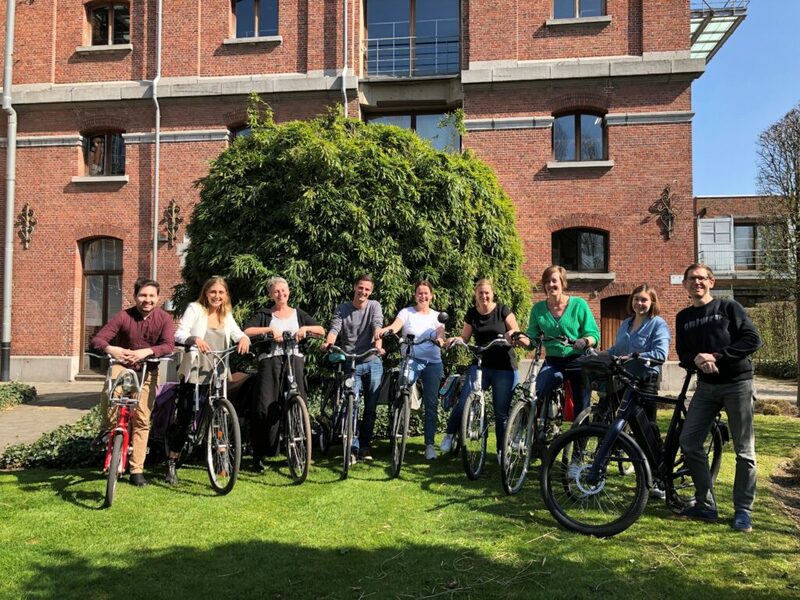 On the advice of PMP Antwerp, the employer invested in bicycle facilities, an affordable insurance policy, a premium for those who purchased a bicycle and individual assistance. In exchange, employees committed to using the bicycle effectively. As a result, in one year, the employer saw the car use decrease from 75 to 49 percent and the number of cyclists more than doubled. Here you can see some of our employees who were happy to trade in their car for a bike.